Twitter is reportedly testing a new feature on Android that’ll put news above all the other tweets. Twitter is currently testing a new feature on Android. The feature puts news stories above all other tweets on the main timeline. There's no word on when the feature will make it to the iOS version of Twitter. It appears Twitter is currently testing a new feature on Android that displays news above everything else when you open the app. When the feature is fully implemented, Twitter will show the most recent and relevant news tweets before showing tweets from other followers. The prompt at the top of the home screen now reads, “Catch up on what’s happened while you were away”. There’s no word yet on when the feature will make it to the iOS version of Twitter. Responding to a request for comment made by Mashable SE Asia, Twitter Product Manager Wally Gurzynski said that the new feature was indeed being tested to help users find news they may have missed more easily. “People come to Twitter every day to catch up on what’s happening and all the surrounding conversation. With this update, we’re making it easier for people to see the news and stories their followers have been discussing while they’ve been away – right at the top of their timeline,” commented Gurzynski. 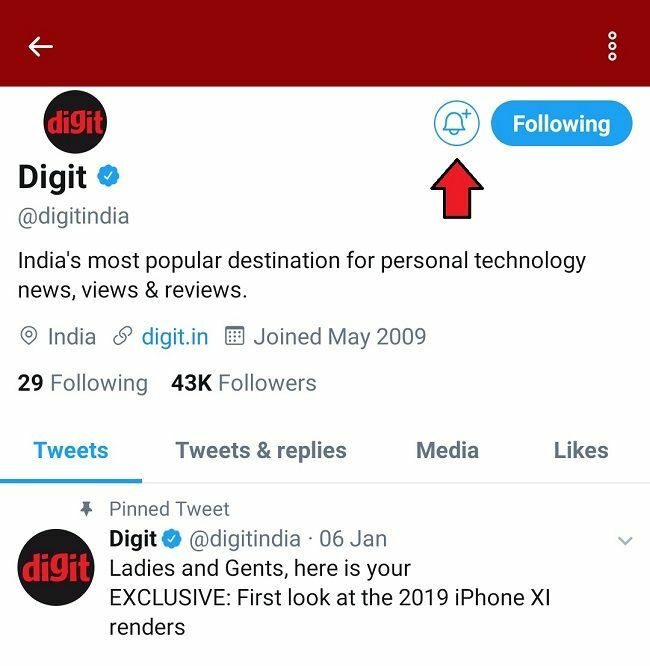 Depending on the version of Twitter installed on your Android smartphone and the region you’re in, you may or may not get to see the new feature when open the app right now. Besides, we’re not sure for how long you have to be away before Twitter thinks it’s time for you to “catch up”. For many years now, Twitter has been stacking relevant tweets above the rest under labels like “In case you missed it” and “While you were away”. But this is the first time Twitter is pushing news stories to the top like this. Though it’s no new feature, Twitter allows users to get notifications for every activity on an individual Twitter account that’s followed. For example, you could be notified every time your favourite tech magazine tweeted or went live. To enable this feature, simply head to the profile of the account you’re following and hit the bell icon next to the blue “Following” button. It goes without saying that you must first follow the account to be notified of their tweets and live posts.